PRG, Inc. Keondre and Michael's Story - PRG, Inc.
Michael grew up in North Minneapolis and has worked at The Cookie Cart for years. Now, with the help of PRG, he and his father Keondre are proud homeowners in their community. Their story is such a powerful example of PRG’s mission in action. We work with community to create opportunity, strengthen neighborhood connection, and build generational wealth. 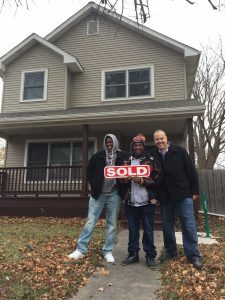 It’s wonderful to see inspiring community members like Keondre and Michael owning a home and building a foundation in their North Minneapolis neighborhood.